Believe it or not, game design is a creative process. Some people take a highly mathematical approach to their designs… but the application of that math to the mechanics and systems within the game takes creativity. Figuring out ways to apply math to fun and interesting themes is not an easy task. All game designers use math to help them control the odds and outcomes of their design… great game designers use creativity. Now, like every creative endeavor, there are very few people who can just pluck great designs out of thin air without effort and without significant knowledge of our hobby. Writers become great readers before they become great writers. Likewise, game designers need to be great game players. Everything after that is practice, practice, practice. My high school band director often said to us, “practice does not make perfect. Perfect practice makes perfect.” He’s right on some levels… after all, if we practice wrong for long enough we will become perfect at being wrong. The hard part is knowing when you are wrong and that comes with experience. So, how do you get that experience in game design? Well… you start by playing games. Just like artists, musicians, and writers before you, you learn your trade by studying the work of others. Examine why they use mechanics the way they do, how they incorporated that catch-up feature, or… even better… why their game is flawed. When I say practice, what I really mean is: you make games, and then you actually play them. Theorizing about a new game idea in your head is very fun… very rewarding… but largely meaningless. Until you put the design to the test with physical components and a few other players, the truth is… you’ll never know if it actually works or not. You are going to make mistakes. You are going to miss something obvious. You’ll never know either, until you try the game. 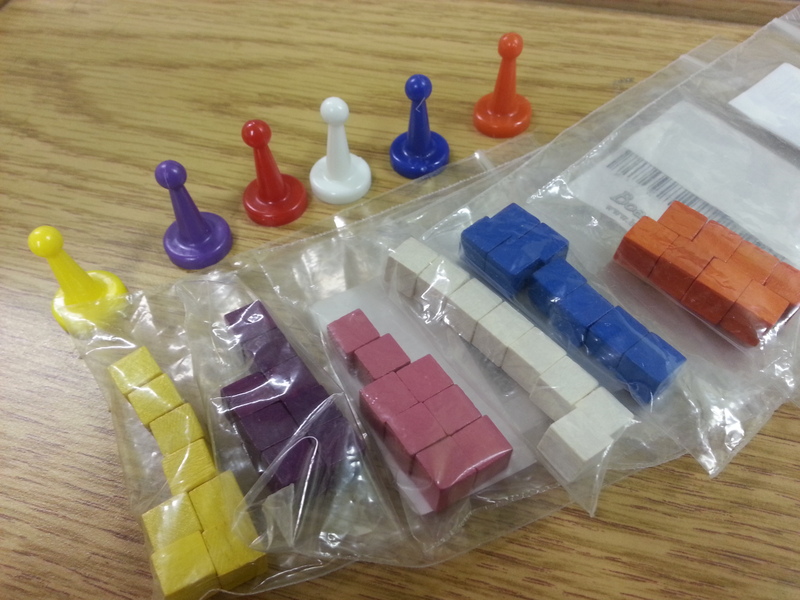 Nobody… not even Riener Knizia… can write out some rules, make up some components, and ship it off to publication. Everyone must test their ideas because until you do… they are nothing more than ideas. Is it possible to get to a level where you can completely formulate an idea in your head, put together a prototype, test it, and it “just works.” Sure… but you’re going to need a few hundred failures to pave the path first. Failures are the life-blood of every creative person on the planet. They make us better by teaching us what not to do. Writers carry writing utensils and notepads with them. Artists carry sketchbooks. Musicians… well… some of them carry their instruments around, but that’s weird. Regardless, these tools facilitate practicing. They allow the individual to spend time with their craft whenever they have a free moment. They can work on a particularly difficult topic, or “take notes” as it were on a cool idea, subject, or musical riff. These micro-bursts of practice help keep their energy and focus flowing on their creativity. You too, dear game designer, should have your tools readily available. This is my idea box. 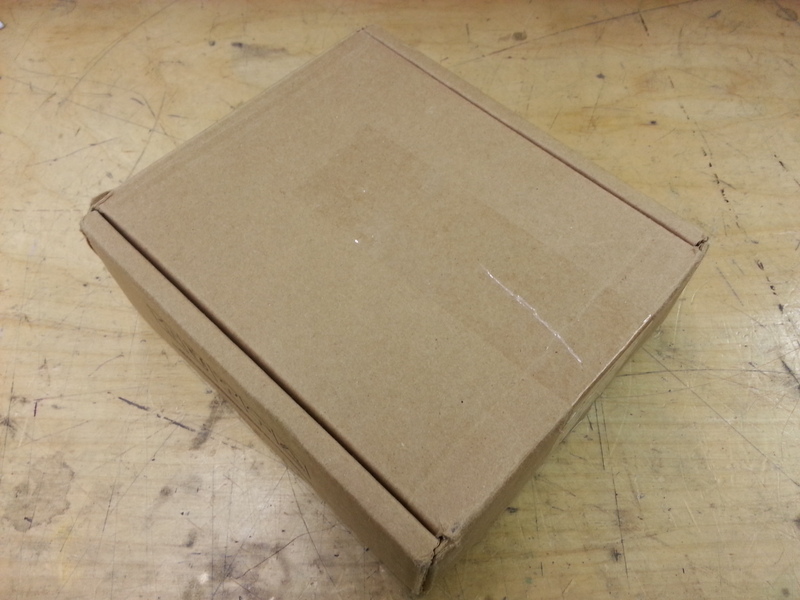 Inside the box are a bunch of things I can use to facilitate rapid prototyping. I keep my box small, on purpose. I don’t want to carry around a large toolbox full of bits (and trust me, I have one of those!) I needed to keep the box small so that I would actually carry it around. Now… when I say “carry around” I don’t mean that I have this thing in a fanny pack with me all the time. I don’t carry a brief case or backpack everywhere I go. This box is in my gaming bag along with my prototypes and a few choice compact games. This bag travels with me in my vehicle whenever I’m not home. Having this resource within a few minutes of whatever I may be doing means I’m more likely to actually use it… and that’s way more important than what’s inside the box. I learned early in my rapid prototyping that color is more important than variety… what I mean here is that I’d rather have a bunch of the same type of bit, in different colors, than a bunch of different type of bits in only a few colors. This gives me the flexibility to assign those bits roles based on color instead of shape or size and that dramatically reduced my needs to carry all sorts of different components. The important part when picking your colors is to match them to your sharpies. The magic of the sharpie allows you to create pieces on the fly by tearing bits from your index cards and coloring them to match your pawns and cubes. I used to carry a standard pack of poker cards and a Phase 10 deck with me. People have heard me mention the versatility of a Phase 10 deck for a long while now… and I stand behind it… but that’s not really the purpose of this box. 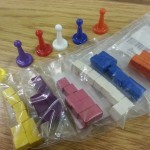 When I rapid prototype from my idea box, I’m not trying to create a fully functional game out of a select few components. I’m simply trying to produce something that I can use to walk through a few steps of the game and see if everything clicks. Often times I only draw out a few cards or mock up a small section of a board to test the idea. If I need to make a deck of cards, I have the ability with the blank poker deck, but if the idea gets that far, I can usually gather up the remaining needs quickly enough to suit my needs. 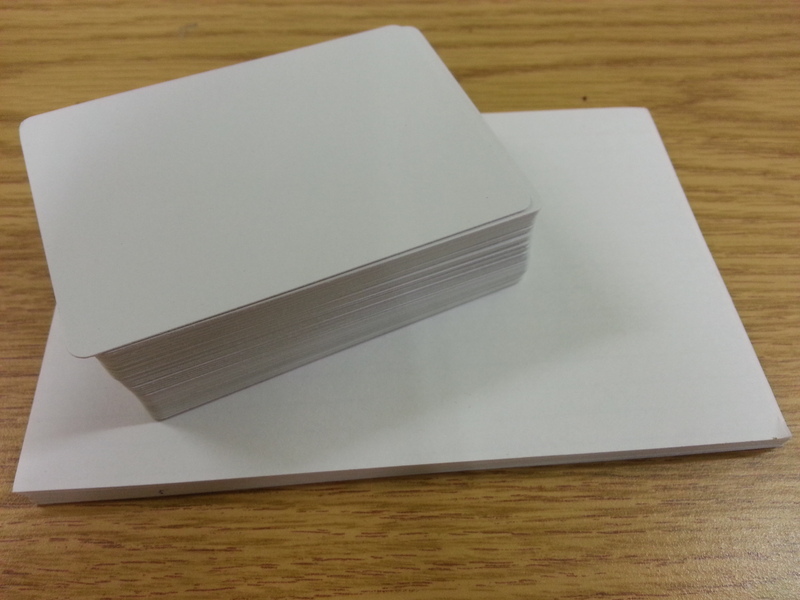 Blank Poker and Index cards. Blank poker cards AND blank index cards may sound superfluous… but they aren’t. I know many designers like to use cut index cards for prototypes, myself included, but note here that I pack 4×6 cards and not the standard note-sized cards. 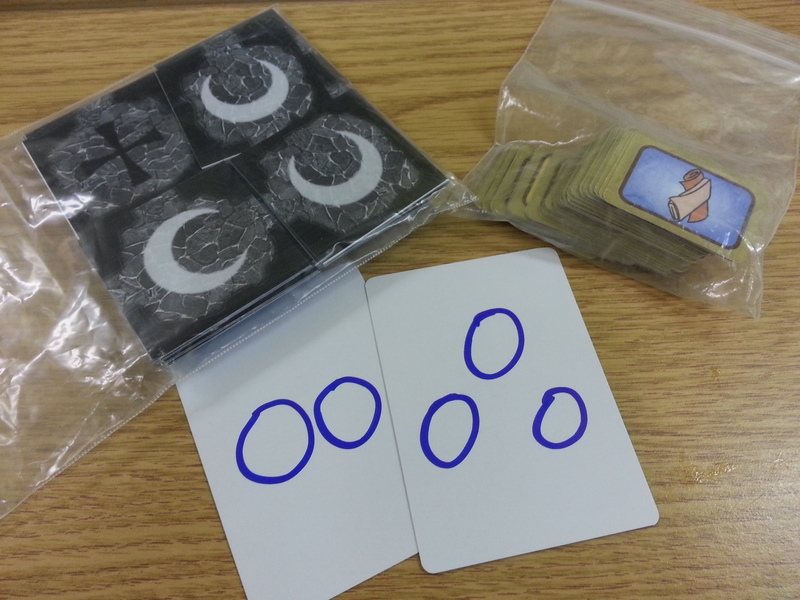 The versatility of the larger cards outweighs my desire to NOT cram them in the box. 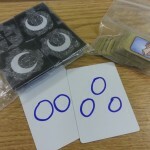 They are perfect for mocking up a tiny board or player mat. They are large enough to take down great notes without trying to cram it all in with tiny handwriting. Poker cards are great because they are very easy to shuffle and handle without messing them up. I pack about 100 in the box which makes it possible for me to completely mock-up most games if needed… but more importantly, it helps me not run out after I forget to re-stock the box or it becomes filled with discarded ideas. Dice… I could cut out the dice. I carry about 10. 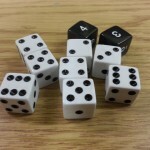 My smart phone has virtually eliminated the need for me to carry around dice for prototyping with random elements, BUT, the dice can act as very versatile pawns as needed. 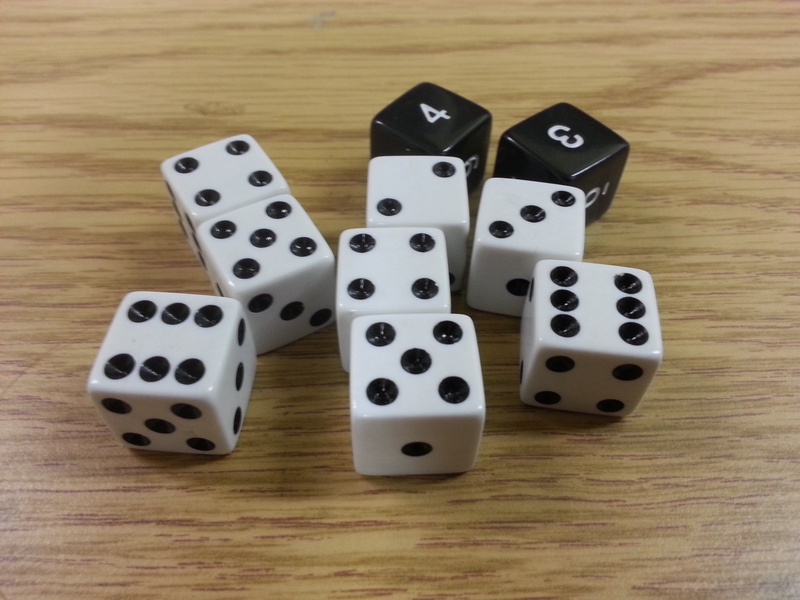 Each die can be one of 6 different things by changing the upward-face and they can be moved about easily because of their size. I was packing micro-sized dice for a while, but found I never really used them. 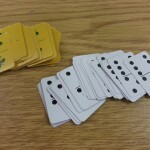 Deck of Dominoes!? Yeah. I designed those. They are in there solely because I love dominoes and they are so tiny. 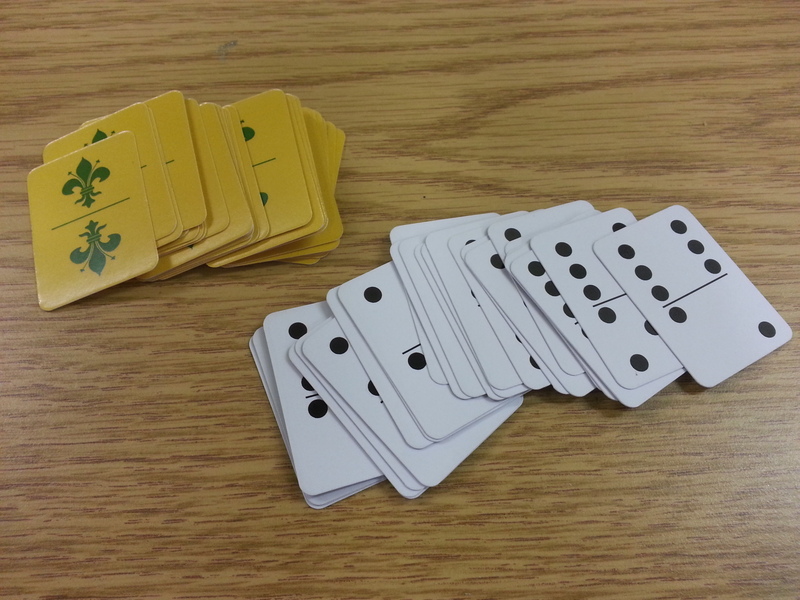 I’ve never actually used them for prototyping and I’ve never designed a dominoes game. It’s just a convenient way for me to carry around a double-6 set just in case a random game breaks out. 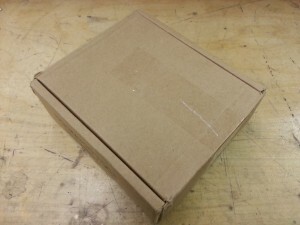 Maybe the most important component in the box is ideas. You’ve likely heard the old adage “out of sight, out of mind.” The idea is that if you put something away, you are less likely to think about it than if you have to look at it regularly. When I have ideas that are stuck in my head, but aren’t quite functional yet, I leave them in the box. Every time I open that box, I see those ideas again. Sometimes I take them out and mess with them. Sometimes they suddenly inspire me to work on them again or start on something new using a small portion of the idea. Whatever it is, it works. The trick is: not leaving too many ideas in the box! Every time you open your box, pulling out a bunch of discarded prototypes can be overwhelming and discouraging. Suddenly, the simple act of getting out a sharpie becomes dreadful. I can’t tell you how many is too many. There have been five or so ideas in my box at the same time. Currently there are two. I like two better than five… but that’s just me. Maybe you like 10? That would stress me out. Keeping the box small helps with this. At some point, when you need to re-stock your blank cards and paper, you won’t be able to fit any more in. Time to cull the chaff! The entire purpose of the idea box is to make a portable prototype kit that you’ll actually use. There’s no use pulling around a bunch of superfluous components that you don’t need… or building a large kit that you would rather not lug around. Make it as compact as you can without sacrificing usability… by learning versatility. Learn how to adapt components that help you maximize their use. If you find that you can substitute one piece for another just by changing color, then consider carrying less physical objects but in a larger variety of colors. Carrying 3 shades of blue means you can assign three different abilities or combine them all into a general “blue.” Remember… game design is a creative endeavor…. be creative. I like it a lot! Mark’s got more of an idea shelf, and each game concept goes in a box or some other container and into the big blue duffle bag for game meetups. I should dissect it and take pictures some time. Once my games get to that point, I do the same. This box is for birthing ideas and less about containing them. I love the idea of an “Idea Box!” What a great thing to have when inspiration strikes. I definitely need to put one of these together. Thanks! Fantastic article! I have so many notebooks filled with ideas that cool off before I acquire the needed components that it drives me crazy. Just all around great advice for the aspiring designer! and what i carry around with me i dub my thinking pad. but it’s just a notepad. I may have to make one myself. I’m just now (with thanks to you) recognizing the power of rapid-prototyping. I tend to keep games “only in my head” for far too long.